Beautifully graded quality imagery in this One Pager acting as a lookbook for Woodsly.com’s Summer 2014 Collection. The stunning design comes to life as you scroll down with the use CSS transitions, multiple image zooms and subtle hover-sensitive parallax effects. The hot spots that link out to the store work great too. Lovely stuff. The Woodsly.com 'Summer 2014 Lookbook’ spotlights this season’s best gear and apparel. 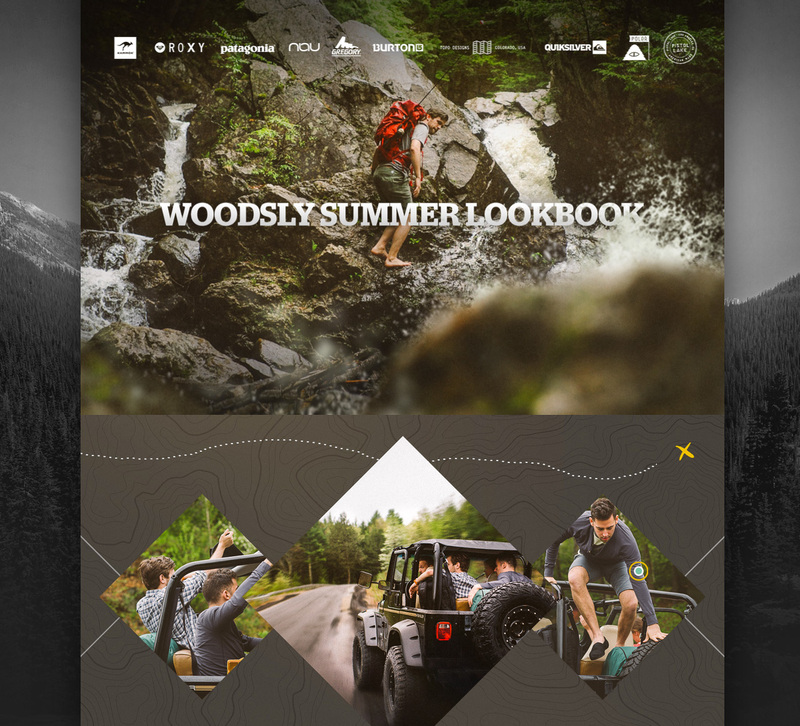 Featuring brands like Burton, Patagonia, Poler, Pistol Lake and more, this interactive lookbook takes you on a visual journey into the outdoor lifestyle.